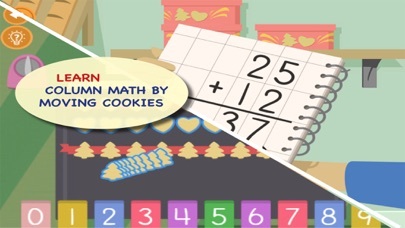 Math Bakery 2-Continue Counting presents easy-to-understand lessons about addition and subtraction with regrouping. It’s designed for children from ages 7-12, but suitable for an even wider range. The app features formatting choices (regrouping numbers at the tops or bottoms of the columns), single player or a challenge mode that pits one live player against another, and manipulative items and hints that demonstrate grouping by 10s. 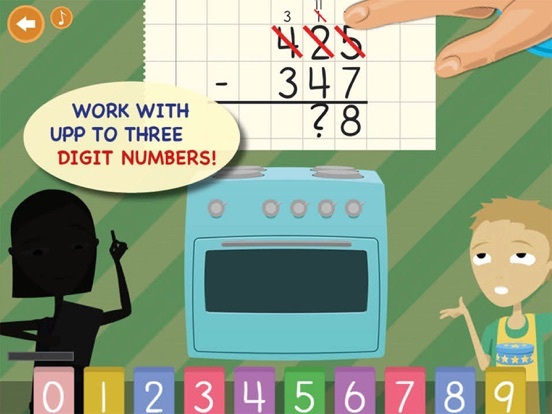 Math Bakery 2 is a high quality app that is remarkably intuitive to use. Developers included a good combination of hints and helps that will make even the most lost student successful. 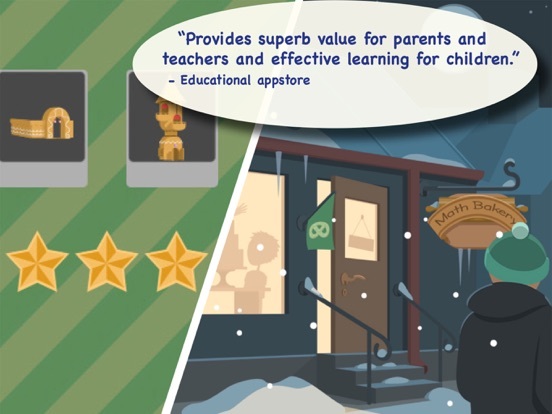 The app will build confidence with math and help kids develop the skills they need to understand place value and regrouping, which are critical to math success. 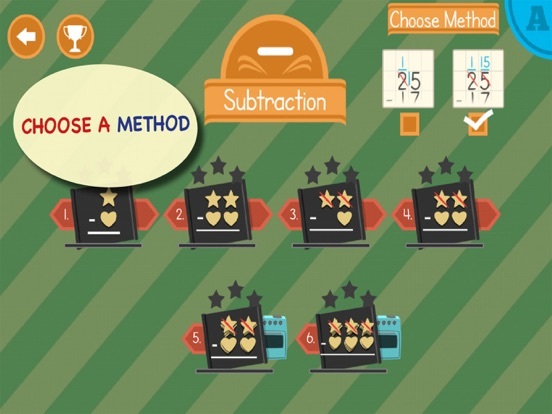 Math Bakery 2 has all of the niceties and perks that an addition/subtraction teaching system should have. Users can control most aspects of the games, including difficulty level and time allotted. Help screens are offered at the first error, and correction suggestions do not give away answers, but rather guide students into correct process to find answers on their own. 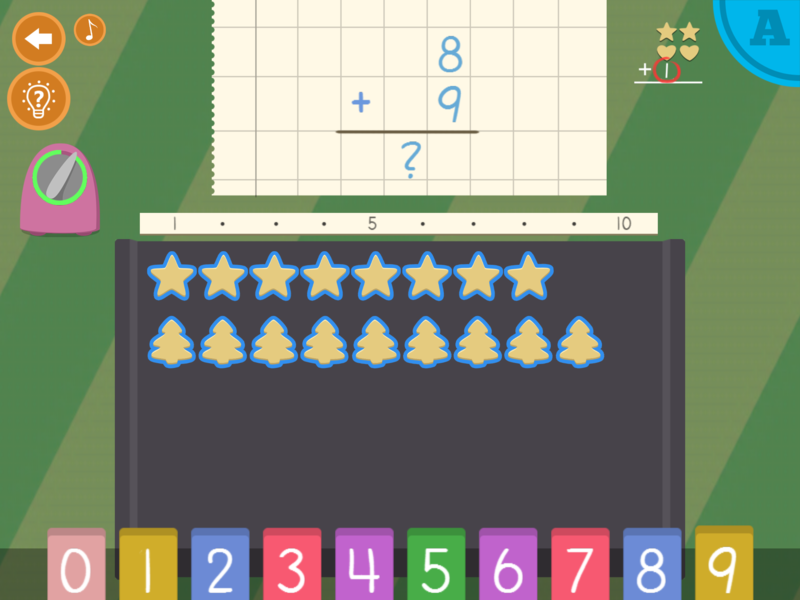 This app is loaded with visual cues and reminders to regroup as well as other hints and tricks to make math easier. For example, problems are written on graph paper, making it easy for the eye to follow the columns downward. 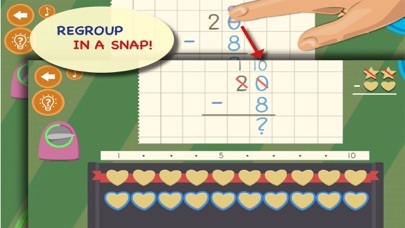 Manipulative cookies are placed in rows of ten for smaller problems, and a tap to the screen will allow users to drag the extra cookies around to add or subtract by forming groups of tens and ones. While this app is highly educational, it’s also quite entertaining. It manages “fun with a purpose” quite nicely. 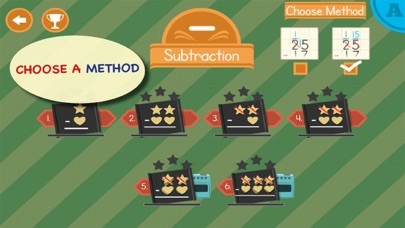 Successful completion of the addition and subtraction tasks yields instant rewards, and completion of sets of tasks gives players the materials to build a gingerbread house. It’s also fun to play in the two-player, competitive mode. Math Bakery 2 costs $2.99 in the App Store. This is a really good value, but I do wish it packed a little more range for that kind of price. 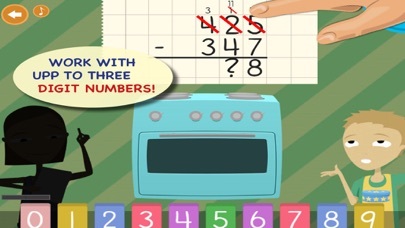 Combining with Math Bakery 1 (which introduces addition and subtraction concepts), or perhaps adding beginning multiplication and division activities, which are often taught around this same time, would be really nice options.